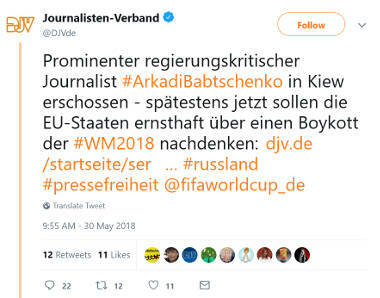 Despite lack of any evidence that Russia was involved, one German union of journalists, the DJV, demanded a EU boycott of the worldcup soccer championship in Russia. After his murder was announced and everyone had had time to “blame Russia,” contradicting tales of how the murder happened emerged. #breaking Russian journalist Babchenko that was declared murdered last night is… alive. Says he had to stage his own murder in order to capture someone, apologises to his wife. This will not go down well for Babchenko or the Ukraine. The Ukrainian Prime Minister officially accused Russia of killing the man. But it turns out the Ukrainian state faked the murder. 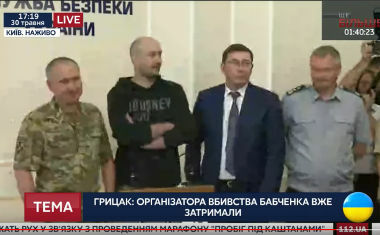 Babchenko comes back from the dead, proving that the accusations against Russia were false. Just as one false claim is undone the Ukrainian security service says that Russia ordered a failed assassination? Why would anyone now believe a word of what they say? 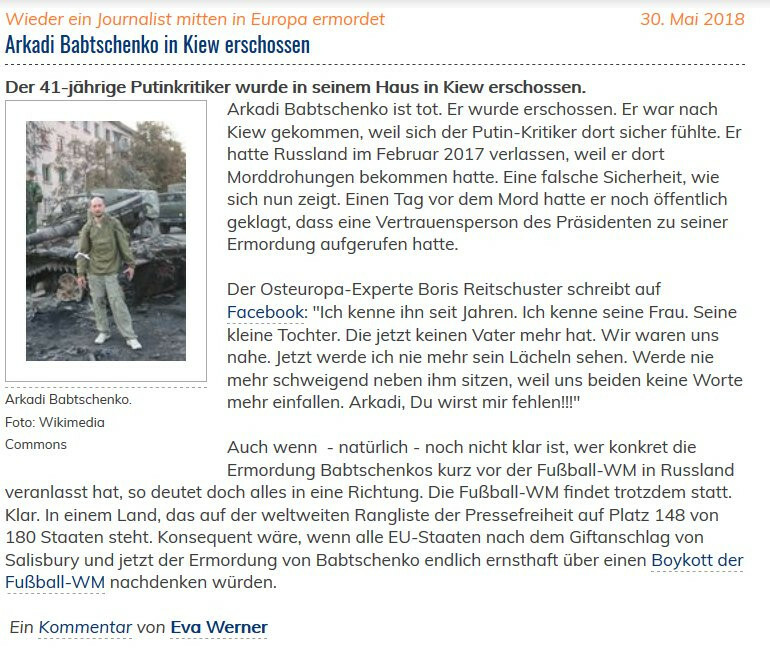 The German “journalist” union deleted its tweet and an editorial (pic) demanding sanctions against Russia from its website. Tomorrow it will be back attacking those who say that such “journalism” is fake news and propaganda.